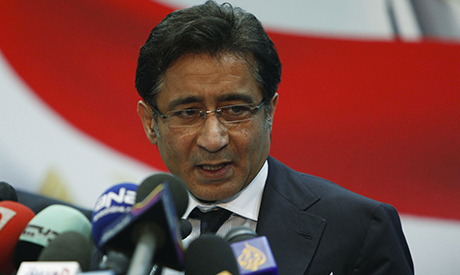 Egypt's Supreme Administrative Court upheld a decision on Tuesday to disqualify steel tycoon Ahmed Ezz from running in the upcoming parliamentary elections. This is a final decision which Ezz cannot appeal. Ezz, a former senior member of the National Democratic Party (NDP), was disqualified in February from running in the elections by the High Elections Committee (HEC in Menoufiya. He appealed the decision but it was upheld by a Cairo court. The Supreme Administrative Court noted that Ezz did not present a bank account for himself or his wife regarding how he would be financing his campaign. Ezz failed to produce necessary documents required of all candidates running in the elections. In August 2015, Cairo Criminal Court ordered the seizure Ezz's funds, which prohibits him from creating new bank accounts, rendering him unable to present statements required for running in the parliamentary elections. Ezz, who was recently released from jail after facing corruption charges, served as the national organiser of former president Hosni Mubarak’s now-dissolved NDP. He also acted as the spokesperson for the NDP in parliament between 2005 and 2010. The decision to run in the upcoming parliamentary elections drew criticism from numerous pro-25 January Revolution political figures and parties, as the 56-year-old is widely believed to have engineered widespread fraud during the 2010 parliamentary elections, securing an unprecedented majority for his party in the chamber. Ezz is the chairman of Ezz Steel and has a 55 percent stake in EZDK, the largest steel complex in the Middle East. The company was previously known as the Alexandria National Iron and Steel Company before Ezz, who was then a mid-level steel manufacturer, was called in to bail out the struggling publicly-owned company in 1999. Ezz enjoyed a close relationship with Gamal Mubarak, the former president's son, who was reportedly being groomed to succeed his father as president. Parliamentary elections in Egypt will kick off in October and November.